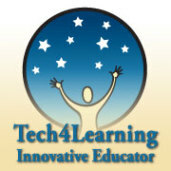 My county’s Sharing Technology with Educators Program, or S.T.E.P. My new favorite Android App (still), AndRecorder, which I keep calling “AndRecord” because long names are abbreviated below my little phone icons. Gimp.org, because it’s free and awesome. SumoPaint.com, because it as well is free and awesome. Frames, because while it is not free, it is still awesome. A rant against looking for things because they “work in the classroom.” That’s great if we’re preparing our students for spending the rest of their lives in our classrooms, but there’s that “real world” thing going on outside. Getting something to work in the classroom is good and necessary, but we should be finding and using things that will work outside of our classrooms as well as in them.